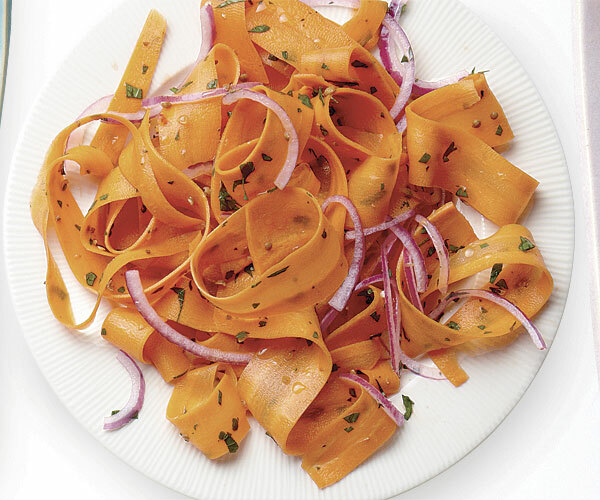 Crushed red pepper gives this pretty carrot salad some heat, while coriander seeds and fresh parsley add a slight Middle Eastern flavor. Try it with dishes like braised lamb and chicken stew. 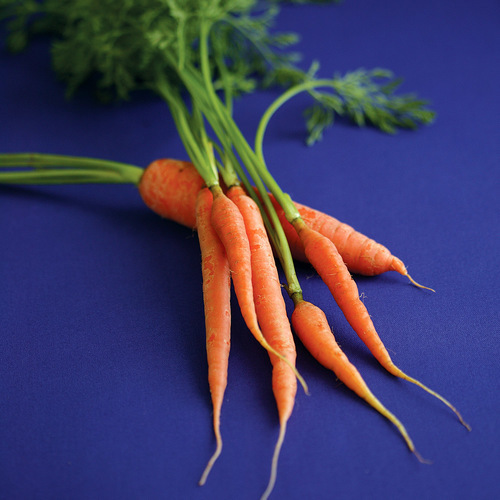 Peel the carrots, then shave them with the vegetable peeler into long, thin ribbons; you’ll have about 4 cups. In a medium bowl, toss the carrots with 1 Tbs. 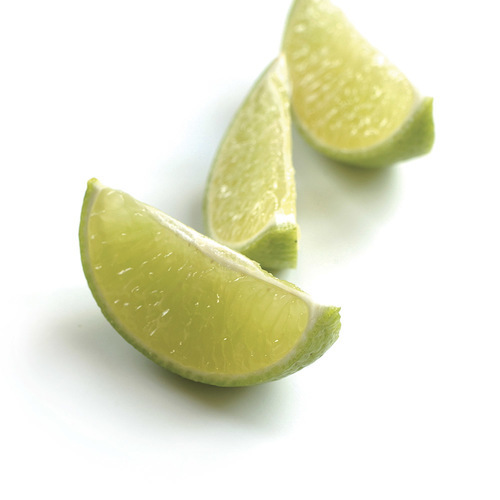 of the lime juice and 1/4 tsp. salt and let sit for 10 to 15 minutes. 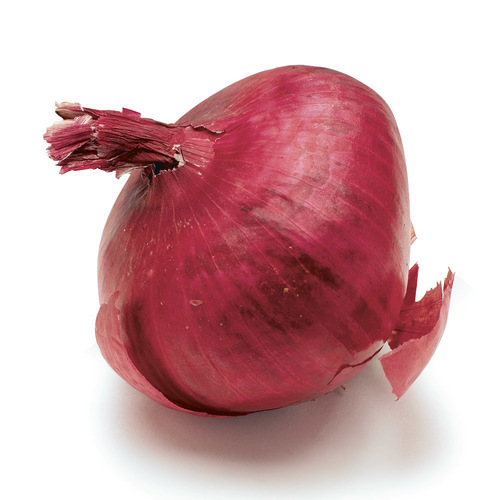 Meanwhile, in a small bowl, combine the onion with the remaining 1 Tbs. lime juice, the coriander seeds, pepper flakes, and 1/4 tsp. salt. Let sit for 10 minutes, then add to the carrots along with the parsley. Toss to combine, drizzle with olive oil, and serve. This salad is requested party after party. this will be served, once again. The crushed coriander and lime juice combination really make this dish! I recommend a generous measure on the coriander seeds. It is also a great pop of color on the table. I have used both orange carrots and colored carrots. I use the adjustable slicing disc in my food processor to make thin ribbons of carrot.